A panel of health and safety experts bandied about the perks and costs of safe injection sites Thursday, and seemingly ended up with more questions than answers: Would the costs lead to the necessary results? How much is saving a life worth? About 70 people attended the presentation at the Dealer.com building in Burlington, where a seven-person panel made up of law enforcement, medical and government officials weighed the costs and benefits of such sites. Last year, Chittenden County State's Attorney Sarah George, one of the panel members, created a commission to study the idea of bringing a site, where heroin users could go to inject drugs under supervision, to Burlington. But in January, the Vermont Senate Judiciary committee decided not to take up a bill that would have enabled them this year. That's not to say the opioid crisis has waned. A record 107 Vermonters died of opiate overdoses in 2017, one more than died in 2016, when the state also set a record, according to Department of Health data. 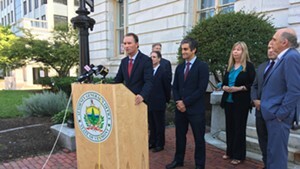 None of the panelists opposed the idea of the sites, but some, including Vermont Health Commissioner Mark Levine, called for a measured approach. 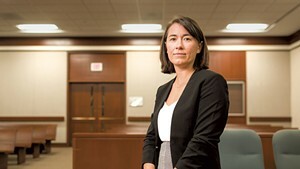 Levine raised questions of professional and legal liability for doctors at the sites, and encouraged a thorough cost-benefit analysis of its effectiveness in preventing overdose deaths. Burlington Police Chief Brandon del Pozo counseled that the benefits of an injection site to the community may not be as widespread as they seem. 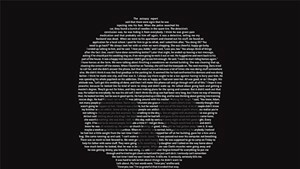 "To go to war with the U.S. Attorney [to reduce about] 2.3 percent of the fatal risk — I think that’s a conscious decision we’d have to make in comparison to other interventions," he said. In response, Chittenden County State’s Attorney Sarah George asked nine audience members — an estimate of how many lives a safe injection site may save in a year — to stand up. "Is there anyone here willing to say how much one of their lives is worth?" she queried, surveying the audience. "Ten thousand dollars?" George encouraged the community to not let the cost of the proposal drive their decision. "Frankly, if I knew the amount [it cost], I’d go out and fundraise it for it," she said. 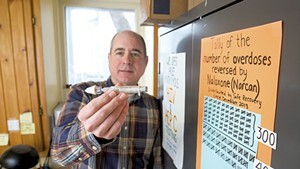 George noted that no one has died at the first safe injection site in North America, which opened in Vancouver, Canada, in 2003. There have been 6,440 overdose "interventions" at that site, according to a September 2017 article in Maclean's magazine. Two American cities, Seattle and Philadelphia, have made progress toward opening safe injection sites. A proposal is also under consideration in Ithaca, N.Y.
Panelists, as well as audience members, shared their own stories of preventing overdose deaths or watching family or friends suffer from addiction. Grace Keller told impassioned stories of her work offering the overdose-reversing drug Narcan as program coordinator of the Howard Center's Safe Recovery program. "When you're the one giving mouth to mouth, or attending a funeral or telling someone they have HIV, and research tells you there's an option that's evidence-based, you feel you have to consider it," Keller, a panelist, said. 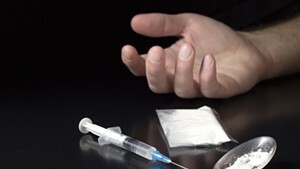 A safe injection site would likely take years to implement, and would probably require approval from the state legislature, as well as the federal government, Levine warned. Nonetheless, he didn't think the option should be taken off the table. "Let's evaluate it on the merits we know we have in" the research, he added. 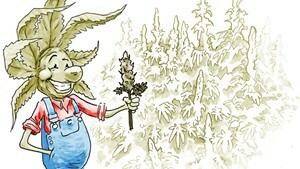 The Cannabis Catch-Up: Will the Feds Legalize Hemp Cultivation?